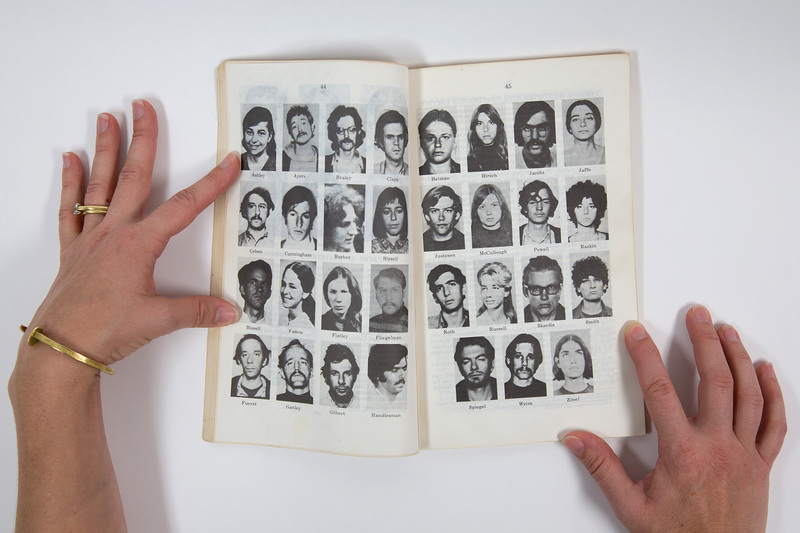 Mugshots in a 1975 congressional report on the Weather Underground. My dad, Jed Proujansky, was a member of Weatherman but did not live underground with the organization's leadership. One of the members pictured is a close family friend who has been accused of making bombs used by the organization.